Well Christmas is over and now we are all looking forward to the New Year Celebrations. Where did 2016 go? 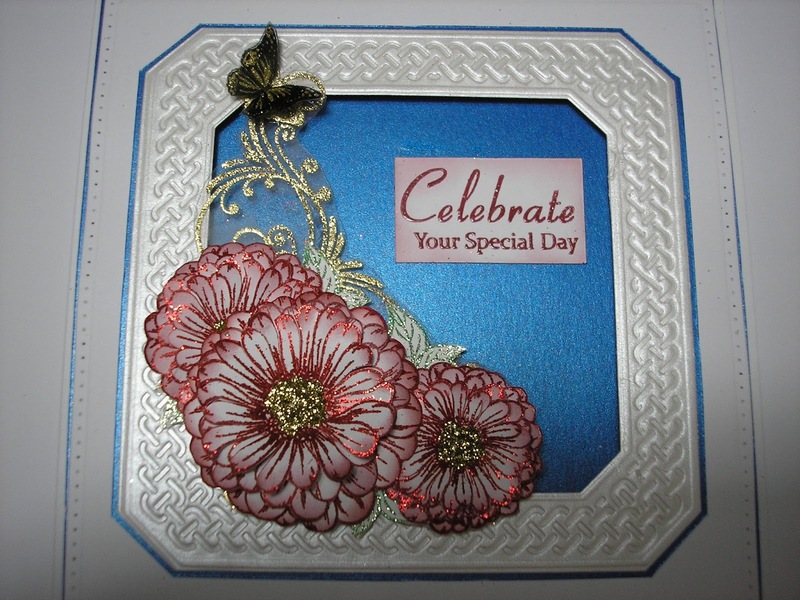 Well here is a card I made for HoneyDoo using their Dahlia Corner. I used the dahlia stamps to make the flowers which I placed in the corner. A sentiment from HoneyDoo completes the card. Heres to a Happy New Year to you all, lets celebrate a special day.